My husband, Darren, and I had the opportunity to meet up with 15 family members on Maui this summer. We went with our toddler, Owen, while I was 6 months pregnant. 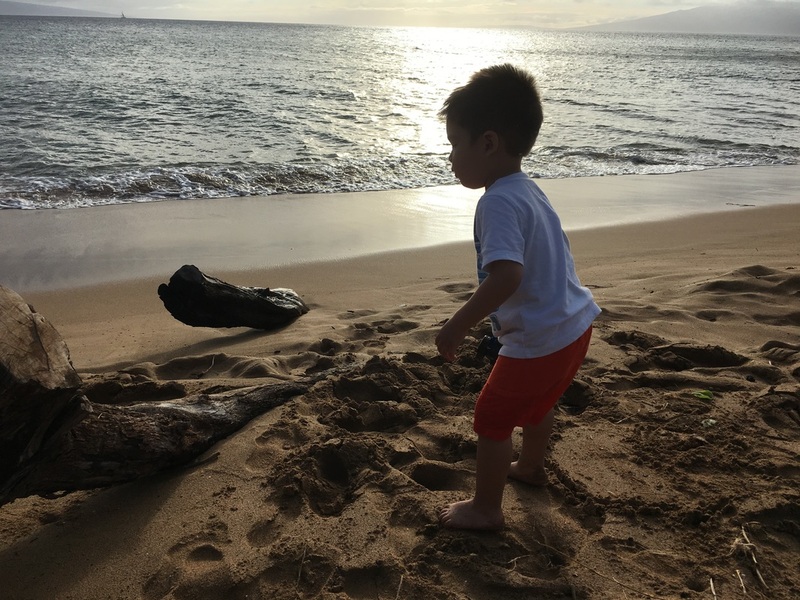 My Mom lives on Kauai, so I’ve been there many, many times (and a few times solo with Owen.) I explored Maui last October with Owen, but this was the first time Darren was able to join us for a Hawaii trip. We stayed up in Ka`anapali, which was a first for me. We opted not to do the Road to Hana or Haleakala this time simply because Owen and I did it in October and we wanted to spend as much time with family as possible. But, I highly recommend doing them if you haven’t before. We are planning to do them on a future trip to Maui. Either trip would make a great “staying out of the sun” day trip, if you are sunburned! Lunch/Dinner at Da Kitchen just minutes from the airport (featured on Food Network’s Drive-in’s, Diners and Dives). Their fried spam musubi and kalbi were amazing and the lilikoi pie was out of this world! Costco for food, drinks and supplies for the week. My main reason for going was to get 3 large tubs of Furikake Chex Mix. Owen and I can go through an entire tub in a couple of weeks. It is soooo good! Check in at Honua Kai Resort (after 12 hours of road delays). We saw a rainbow on our lanai right after Owen’s nap. As you can see, he’s still waking up! Pool time with all of the cousins! Owen was in heaven getting to “swim” with his cousins wearing his waterwings/life jacket. Attempted to get guava malasadas and donuts on a stick from T. Komodo Store & Bakery in Makawao, but they were closed due to the holiday. Fun to drive through the small, historic town though. Attempted to tour Surfing Goat Dairy in Kula and sample their famous goat cheese truffles, but they were also closed for the holiday. But, we did get to see lots of goats and the drive was pretty. 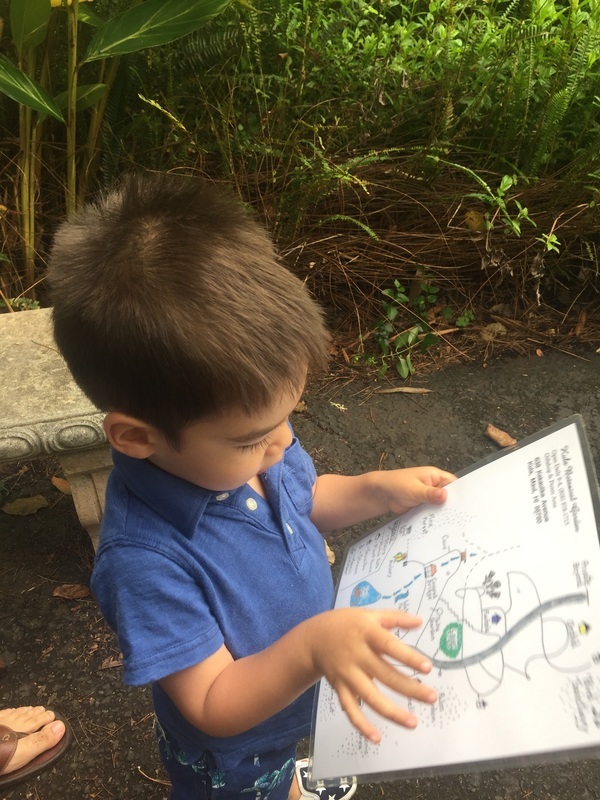 Walked the Kula Botanical Garden (after we called ahead to make sure they’d be open.) Great way to stretch our legs after so much driving. Called ahead to see if Ulupalakua Ranch & Cafe was open (they were closed for the holiday) but decided to take the drive anyway for the scenery. Stopped several times to take photos. Turned around and drove 45 minutes to Kihei (while our toddler napped in the car) to eat at Zagat-rated fish tacos at Coconuts Fish Cafe. It was well worth the drive and my standard for fish tacos has been raised. Stopped at Ululani’s Shave Ice in Kihei for delicious shave ice! I had a snow-capped Sunset Beach and my toddler had a Hawaiian Rainbow with ice cream at the bottom. This is my absolute favorite place to get shave ice (and I’ve sampled a lot!) We were both happy customers! Headed back to the condo where we checked out Ka`anapali Beach and then hung out at the pool. Darren played golf with his brothers for most of the day at Plantation Golf Course, which is used by the pros. Needless to say they lost quite a few balls! But, he said it was gorgeous and a highlight of the trip. My Mom babysat while we had a date night at Roy’s (after loading up on after-sun products.) Read my Babymoon Date Night at Roy’s review here. Walk to Farmer’s Market, which was a bust. Only 4 stalls and 2 of them had prepackaged items you could buy anywhere. We ended up buying papaya and lilikoi from the store in the same parking lot. Snorkel boat trip to Molokini on Four Winds, which was a fantastic group outing for our family. Read my review of the Four Winds here. 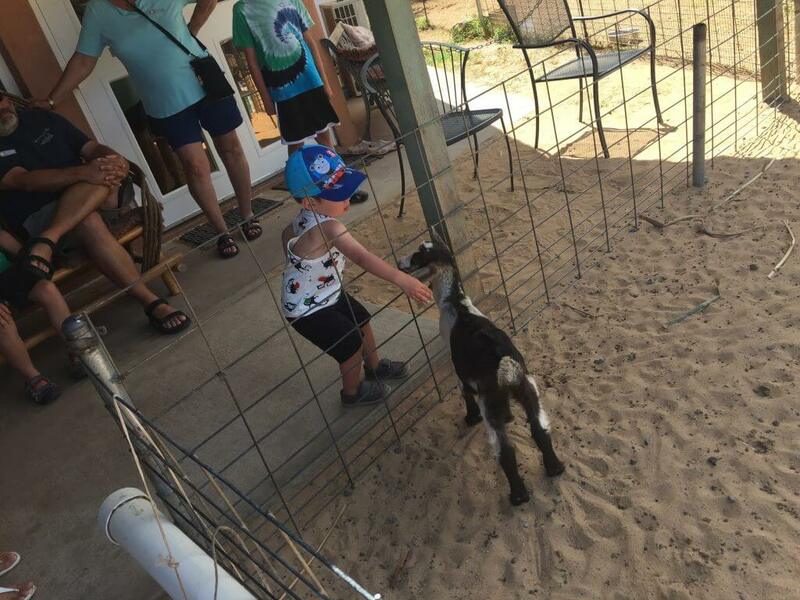 Owen petting his first goat at the Surfing Goat Dairy in Kula, Maui. Visited the goats at Surfing Goat Dairy in Kula. Owen had fun petting a goat, but was more interested in playing with the dump truck with other kids in their sandy play area. We also got a couple of boxes of their famous goat cheese truffles. Hit up Ululani Shave Ice so our nieces could try it for the first time and they loved it! We had such a fun time in Maui with family! Even though we were only gone 8 days and didn’t pack too many activities into those days, we were exhausted and ready to come home. Eight days was the perfect amount of time for us to vacation with extended family. This looks like a lot of fun! I really want to visit Hawaii one day! Julia, you should! It’s so fun and the people are so friendly! Sounds like a great time! I’ve been to Waikiki once but I was so young. I’d love to go back to a different island in Hawaii one of these days! Waikiki is so fun and you should go back as an adult and see what you think! I also recommend Maui and Kauai! 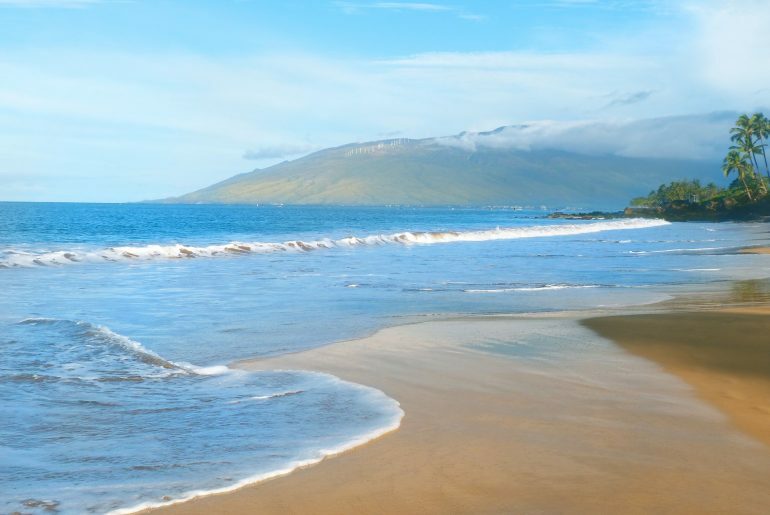 Maui is on my list! This looks amazing. What a great way to spend the 4th of July! Thanks for this. Gives me a great idea of what we can get up to. Rebecca, you should go! It’s so beautiful and I swear there are rainbows practically every day! 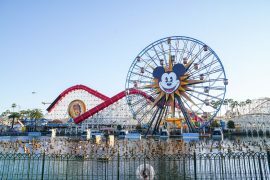 This looks like such a fun trip for you and your family! 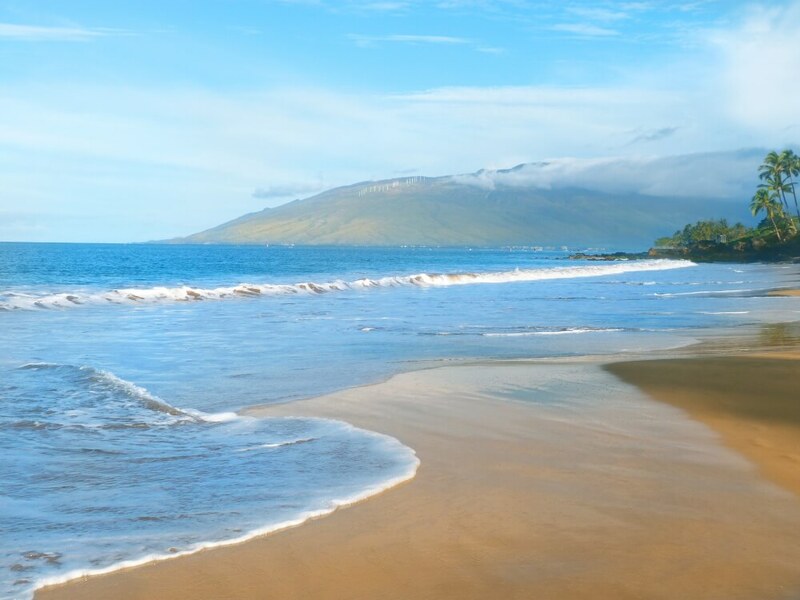 I would love to visit Maui someday! Great itinerary, love that you had a relax day in there! It’s such a beautiful island! We’re lucky that it’s just a 5.5 hour flight from Seattle! My sister in law has recently become a mom and she keeps asking me suggestions on how to travel with her little one. I’ll make sure to pass her this article, because it clearly shows that you can travel, have fun, and show the world to your kids, if you plan everything carefully. Becoming a mom doesn’t mean that you can’t travel anymore! Thank you for writing this! I know! 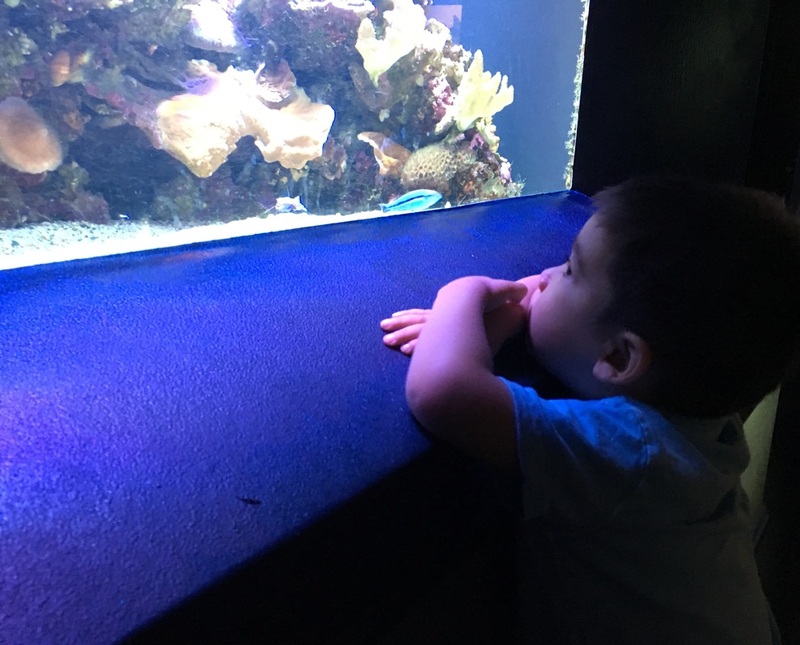 My blog is all about encouraging people who love to travel to bring their kids. It can make for some lovely memories! Muai looks like the perfect place to go with kids. It seems to offer a whole range of things to do and I would love to take my son to meet a goat! I will be copying your tips and tricks when I visit Muai! Maui sounds like a very nice place! As so many different things to do. I’d love to go snorkling and go to that pro golf course. It always the best if many theses kind of sport activities are available around you. I would have loved to have gone to play golf with Darren, it’s a dream of mine to play golf in Hawaii. I’m sure I would have lots plenty of balls in the rough too! Snorkeling for your birthday in Hawaii must have made it a memorable day, such a beautiful place to snorkel. 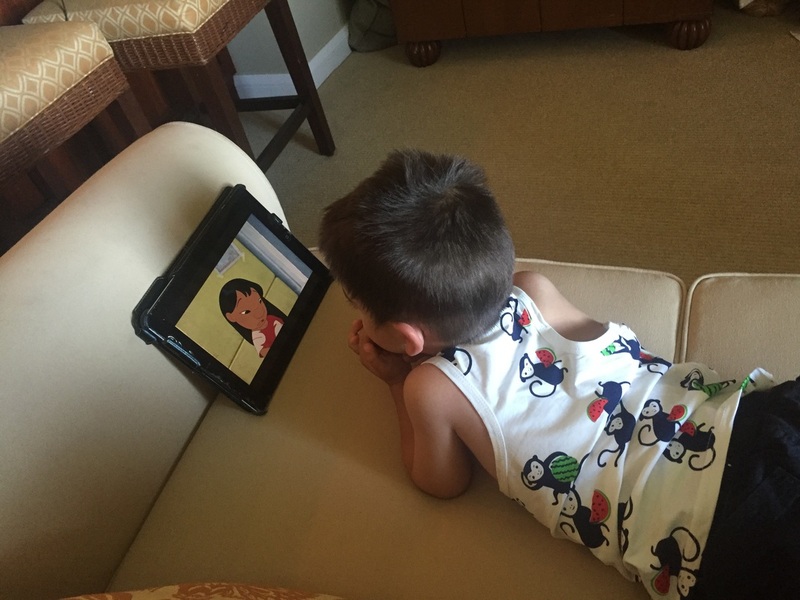 It seemed like a fun 8 days in the condo with Owen, he sure looked like he had a good time! What a great family trip. 15 of you all together? Sounds like an epic adventure and a great place for a family holiday. Yes, there were a lot of us! We’re doing it again next month! It sounds like you spent lots of quality family time together which is great! And snorkeling in Hawaii is definitely on my bucket-list so it’s very cool you got to do it on your birthday. It sounds like there is a lot to do for families there too, perfect for those with little ones to keep entertained! This was a pretty cool itinerary. My favorite part was knowing the different local foods that you can eat in Hawaii. I would love to eat Ululani’s Shave Ice, Maui Cook Kwee’s Factory cookies, lychee, and fish tacos. I have eaten lychees but I am sure that they taste different in Hawaii. 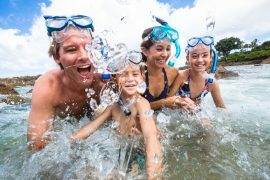 Great tips I wouldn’t have thought Maui would be a good destination for families but I was wrong as it looks like you had a great time. The goat cheese truffles sound interesting shame you didn’t get to try them but I bet seeing the goats was fun for your little one. Yes, I don’t usually think of farms in Hawaii but it was pretty neat! What a wonderful place to celebrate 4th July and it sounds like you managed to fit a lot in! I like the sound of goat’s cheese truffles so it was a shame that they were closed when you first went – I guess that’s one of the disadvantages of travelling during holidays! At least you got some in the end though! 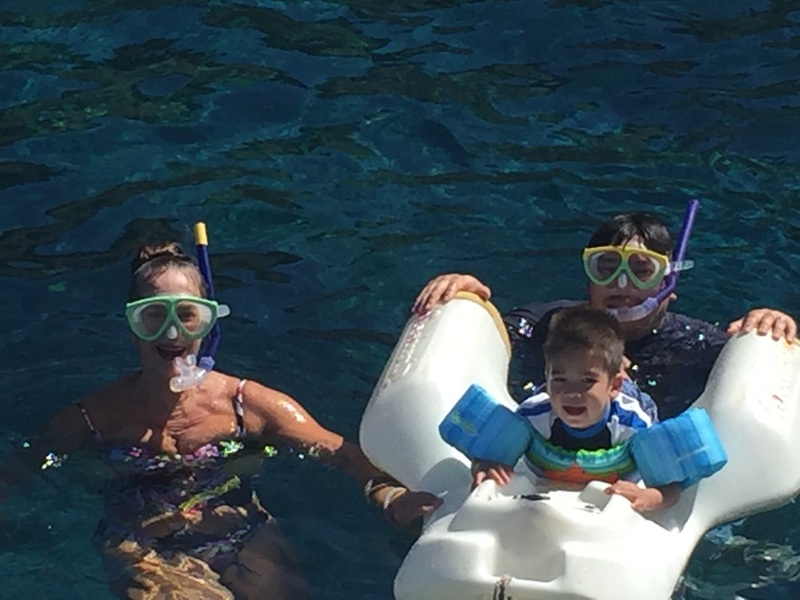 I would love to snorkel in Hawaii and Owen definitely looked like he was having a great time in the sea! Marcie- I can’t find anything online about the CookKwees factory in Kahului. Sounds right up my alley. Do you have any more details? It’s kind of a secret spot! Here’s the Yelp link: https://www.yelp.com/biz/cook-kwees-maui-cookies-kahului You’ll arrive at a warehouse with a large garage door. Head inside and find an employee. They will help you grab cookies. They are really tasty! Owen’s tanktop… monkeys + watermelon. Need that. What brand is it? My Mother-In-Law actually brought that back from Hong Kong, so I have no idea where you could find it!